Who do I want to use as a plan administrator. Before I go any further, let me just say that I love Vanguard. 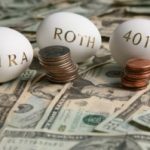 Our Roth IRAs are at Vanguard, and my old 403(b) was held at Vanguard. We have traditionally invested in a mix of index funds, including the Total Stock Market Index (VTSMX), Total Bond Market Index (VBMFX), European Stock Index (VEURX) and Pacific Stock Index (VPACX). More recently, we started using a mix of the Target Retirement 2035 (VTTHX) and Target Retirement 2045 (VTIVX) funds in our Roth IRAs — these funds are made up of the four aforementioned index funds, but they were not available through my employer’s plan. I have yet to investigate these options, but off the top of my head I’m guessing that Fidelity (or possibly TIAA-CREF) will be most likely to suit our needs. I’ll post more on this topic as I have time to investigate further. But in the mean time, can anyone out there provide any insight? Fidelity offers their Freedom Funds, which are similar to the Vanguard Target Retirement funds. The expense ratio is higher – looking at the 2035 fund (FFTHX) its 0.75% at Fidelity, which doesn’t seem bad until you compare it to the 0.21% for Vanguard. However if Vanguard isn’t available it might be a good alternative.